The Complete, Highly Accredited Hypnotherapy Diploma Course Is Here For You! Free Bonus: When you download the course prospectus, we will automatically send you on 3 free hypnosis audio tracks. No strings. As our way of thanking you for taking an interest in our hypnotherapy practitioner diploma course, we’ll send you on 3 free hypnosis audio tracks that you can download, use and enjoy the benefits of straight away. The tracks that have sold globally are all designed and recorded by bestselling author Adam Eason and would usually have to bought from his online store. We’ll automatically send them on to you for free, with our compliments when you download the course prospectus. Being personally trained and guided by a team of successful hypnotherapists with many years of experience working with individual clients. With this highly accredited hypnotherapy practitioner diploma course, you get thorough, in-depth hypnotherapy training, an incredibly impressive hypnotherapy education and guidance on setting up and developing a business and information on how to set up your own practice. Free Bonus: When you download the course prospectus, we will automatically send you on 3 free hypnosis audio tracks. No strings. As our way of thanking you for taking an interest in our hypnotherapy diploma course, we’ll send you on 3 free hypnosis audio tracks that you can download, use and enjoy the benefits of straight away. The tracks that have sold globally are all designed and recorded by bestselling author Adam Eason and would usually have to bought from his online store. We’ll automatically send them on to you for free, with our compliments when you download the course prospectus. Welcome to the Ultimate Hypnotherapy Practitioner Diploma Training Programme. This hypnotherapy practitioner diploma training course is for the complete novice, existing practitioners, budding hypnotists and individuals seeking to add hypnosis to their existing professional skills. The vast majority of those we welcome to this course are complete beginners new to the field as well as psychologists, psychotherapists, doctors, dentists who are looking to add to what they already offer clients and patients. Our diploma course is delivered in two distinct formats at our college. One weekend a month for 10 consecutive months. Full sets of upcoming course dates are in the course prospectus. Two intensive tuition blocks of 9 days held in Spring and Autumn each year. Exact dates given in the course prospectus. We also offer an online home study hypnotherapy diploma programme, visit that page of this website for more details about that. Additionally, all our diploma students are invited to attend the college’s other one day seminars for no further fee during that academic year to build further skills and add further hours of classroom training. The seminars that are free for you to attend are ‘The Science Of Self-Hypnosis’ and the ‘Rapid Inductions Seminar’ You can see details of these one day seminars in this college website (see menu above) – this greatly advances your skills, your fluency with hypnosis and advances your education greatly. As well as an NLP Practitioner Certification, a Clinical Hypnotherapy Diploma that you receive directly from this college, when you qualify with this course you also get the Hypnotherapy Practitioner Diploma (HPD). The Hypnotherapy Practitioner Diploma is a qualification that is verified by the National Council for Hypnotherapy (NCH) and NCFE. The award is externally verified by the NCFE which is incredibly important. With many hypnotherapy training schools you are awarded a qualification by the same organisation that you pay your fees to and there may be bias towards their own students, qualifying people that perhaps are not reaching the correct levels required for developing a worthwhile career. Additionally, these training courses vary in quality, substance and duration. An externally verified award overcomes these potential problems, ensuring a certain standard of training is provided across different training schools, a definite number of hours is spent on class training and homework, and a measurable standard of learning is evident in all students. The award is a vocational qualification at Level 4 (i.e. NVQ Level 4 equivalent). 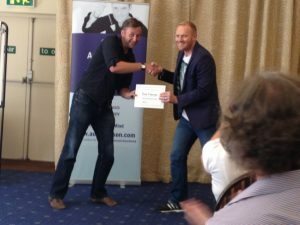 For these reasons, the award is held in very high esteem in the hypnotherapy community. For those looking for a robust qualification that matches national Vocational Standards, there is simply no other choice. The NCH reports on their website that today, 1 in 4 hypnotherapists have the HPD qualification and it is the opinion of us at this college that it is becoming the industry standard qualification. Though not the most exciting of subjects, course accreditation is incredibly important. Legally, anyone can set up a hypnotherapy training school and conduct courses of any length and any quality. The level of accreditation you get with this course gives you and your future clients confidence that you have received a sufficient depth of training so that you are a competent, confident and ethical practitioner. We urge you to rethink if you feel tempted by a short, cheap, unaccredited hypnotherapy course. You need time to develop your skills, experience and depth of knowledge before you practice professionally. This course gives you the time needed to develop the skill set necessary to thrive in this field. This course also meets National Occupation Standards and this may be important to you later if the government bring in statutory regulation of hypnotherapists. Although nothing is currently cast in stone, the best insurance for that happening is to take a quality course that meets national Occupational Standards. The college Principal Adam Eason wrote on his blog recently about voluntary self-regulation for meeting the governments criteria for hypnotherapists – a robust qualification is required for hypnotherapists to be able to register with the CNHC which is the only government recognised body. We are an accredited college with the National Council for Hypnotherapy (NCH). 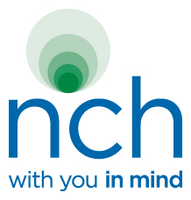 One of the oldest independent, Non-for-profit hypnotherapy organisations in the UK, the NCH is well-respected amongst the hypnotherapy community and provides many member benefits detailed in our course prospectus. It has a comprehensive code of ethics to protect members of the public, a code that this school and it’s tutors adhere to. The NCH is the only professional body to provide the Hypnotherapy Practitioner Diploma (HPD) which has been validated by NCFE, a government recognised national awarding body, at National Vocational Qualification Level 4 equivalent. More hypnotherapists are realising that the HPD is the way forward and future in this field. When you register for this course, you will get free student membership to the NCH and become a member upon qualification. This Hypnotherapy training Diploma course has also been designed to meet the accreditation criteria for the General Hypnotherapy Standards Council (GHSC) requirements for Practitioner Hypnotherapy Training in the UK. This college is also a member of the UKCHO (UK Confederation of Hypnotherapy Organisations) alongside all the major associations and schools in the UK. As a graduate of this school, along with your NCH membership you’ll also be able to be a registered member of the PHN (the Professional Hypnotherapy Network) who have very exacting standards and lead the way in promoting the science and evidence base of the hypnotherapy field, as well as the GHR (General Hypnotherapy Register) to show that you are the qualified hypnosis professional on every level. What’s more, upon successful completion of this hypnotherapy training diploma, you can also apply to receive a full NLP practitioner certification signed by Richard Bandler himself! You’ll be licensed as an NLP practitioner with the Society of NLP. This diploma is also recognised in Australia by the Australian Hypnotherapists Association (AHA) and in Canada with the Association of Registered Clinical Hypnotherapists (ARCH) as well as in the US with the NGH — the National Guild of Hypnotists — which is one of the most prestigious organisations of its kind in the world. Regardless of when you take this training, and regardless of where you live, you’ll be qualified to practice and gain insurance to work in the UK, the US, Canada and Australia… Heck, you might want to move and work overseas at a later date — this diploma qualifies you to be able to! The Mark of Excellence: This college has chosen to adhere to these many clinical standards because they are the leading independent accrediting organisations, positively representing the field of hypnotherapy. Upon commencement of this hypnotherapy training course you receive a free Student Membership to the above mentioned associations and access to their facilities and publications. We are also a registered UK Learning Provider and are listed in the Department for Education & Skills’ UK Register of Learning Providers. Our UK Provider Reference Number (UKPRN) is 10047656. Do make sure any organisation you choose to train with has such a provider number. Our students receive clinical hypnotherapy diplomas awarded by myself within the standards set by the previously mentioned associations. Your membership to these prestigious organisations subsequently allows you to gain insurance and practice as a hypnotherapist and use many letters after your name. Wooo! Exciting, eh? This hypnotherapy practitioner diploma also integrates an NLP Practitioner training within it and as already mentioned, you can receive an additional license and certification signed by Richard Bandler, co-creator of NLP and John La Valle, the president of the NLP Society. The field of NLP is not regulated and you are not required to have membership to any organisation in order to use it. However, with this college’s certification you can join the ANLP which we have found to be the most progressive and professional organisation representing the field of NLP. While studying this diploma course, all our students receive access over 200 hours of video footage of all of the modules of former Hypnotherapy Diploma Courses, along with footage of other lectures, seminars and workshops too. This is a tremendously valuable addition to your training support. It includes audio guides to help you with your home study too. The videos provide you with an ongoing resource to help you revise all of the class taught material. You’ll be able to study it again and again, you can revise and revisit any aspect of the course whenever you wish to do so. 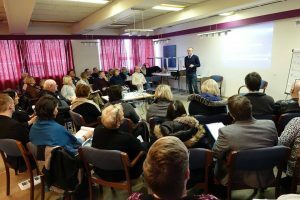 There are major evidence based lectures and additional presentations that ensure you will get the fullest and most comprehensive hypnotherapy education. We have designed this Hypnotherapy Practitioner Diploma programme to help you to learn the fundamental aspects of hypnotherapy, core counselling skills, many psychotherapeutic techniques, coaching skills and to integrate aspects of NLP — for specific therapeutic application. Drawing upon the successful patterns used by the college principal and other tutors throughout the years in real-time practice, this hypnotherapy training course is based upon more than just theory. You learn a wide variety of techniques, in an accelerated way which means that you can be amongst those who know the patterns which can help to get real results. You also get to have a LOT of fun while learning — we believe that enjoying your study here helps to create a stimulating environment to best learn. Expect fun, laughter and entertainment to go alongside the often intellectually taxing journey of becoming a fully qualified hypnotherapist. Importantly, this Hypnotherapy training diploma course is aligned with National Occupational Standards as well as the PHN’s, NCH’s, UKCHO’s, and the General Hypnotherapy Standards Council’s training standards and requirements. The guidelines have been designed to meet the Government’s growing interest in minimum training criteria throughout the field and as previously mentioned this HPD qualification meets national occupational standards. Not all courses consider these exceptionally high levels of attainment within their school. You’ll learn a great many strategies, techniques and theoretical stances. All of which are outlined comprehensively in the college prospectus. Many schools teach a stance and approach towards hypnotherapy that their students go on to embody themselves. Often the students do not know any different or any better. Here, you are encourage to think critically, you are encouraged to see both sides of any theory, philosophy and approach – you’ll be shown the flaws of certain approaches as well as evidence for and against many populist approaches. It is vital to have a breadth and depth of knowledge and not just favour the same singular approach as your tutor. This Hypnotherapy training diploma course covers a dedicated training programme of tutor led tuition, taking place over several modules of intensive tuition periods and totalling well over 165 hours of classroom tuition. This is delivered as either a monthly course delivered at weekends, or an intensive course delivered in two 9 day tuition blocks. You get to choose. This makes it easier for you to attend according to your own individual family and career needs. All the details are contained in the college prospectus. A number of weeks are allowed to elapse between each tuition block in order for you to be able to consolidate the learning, undertake relevant, required home study… And to practice and hone your skills. Further reading, course assignments, case studies and other course work totals further hours of study time needing to be invested by you that is outlined in the course prospectus. Most importantly, download the college prospectus from this website and read in more detail about this diploma course. You can also read the following detailed further information relating to the elements included within this hypnotherapy training diploma programme — guidelines to which we adhere in order to deliver training to recognised standards. This hypnotherapy training diploma is designed specifically to train you to be able to competently go into clinical practice as a professional, fully insured, competent hypnotherapist. We ensure that your competencies meet the required standard of both theoretical understanding and practical application. Please refer to the college prospetucs to get a comprehensive account of the course curriculum and a list of topics covered within each module of the diploma. We like to keep abreast of modern developments and research and list this on our online forum for your reading throughout the hypnotherapy training course — to help advance your own knowledge base in the professional hypnotherapy environment. You also get online access to the college member website – area with it’s abundance of resources: hundreds of hours of audio, video clips, many articles and we have a hypnosis hub to discuss these subjects with students from past and present — all for your continued development, discussion and learning. It is a very supportive and friendly environment too, so you’ll make friends and get lots of other guidance along the way. We believe in getting lots of practice and real life experience as the course progresses. Therefore, the curriculum of the course is divided to cover 50% practical training and 50% theory training. Again, please refer to the college prospectus for comprehensive details of the course content. You will be invited to complete some written work to demonstrate your understanding of specific learning outcomes. You will be visually assessed on how you work in class and you will have to complete various case studies. For each module, you will be required to complete homework that contributes to your graduation and we prepare your portfolio of work for submission to the external assessors in order to receive your full HPD qualification. For those who have trouble writing for whatever reason, there are verbal routes to qualification too which can be discussed upon course enrolment. Throughout the hypnotherapy training course you will be able to demonstrate your skills — along with the other students — in practical exercises. These will be observed by the tutors in order to further help you develop your expanding repertoire of therapeutic tools. Upon commencement of this hypnotherapy training course, you can apply to receive a student membership to the Professional Hypnotherapy Network, National Council for Hypnotherapists, and the General Hypnotherapy Register. Once qualified with your HPD, you’ll be able to become a member of the PHN, NCH and the GHR, the UK’s largest organisations representing the field of hypnotherapy. Your Hypnotherapy Diploma will be awarded upon successful completion of your classroom training and related Home Study work and a successful approval of your work by the external assessors (NCFE) who will grant you your HPD qualification. A minimum of a year’s free membership, huge resources and support in our online members area (usually a large annual financial investment per year). This includes a hub to discuss the course with fellow students and others who have gone before you in this field, majorly comprehensive manuals for each module, hundreds of articles to supplement your course notes, hundreds of hours of audio clips and many video clips to enhance your learning. A wonderful, supportive and enjoyable addition. Individual success planning with course tutors and assistants. All your electronic and extensive course study manuals. Well over 165 hours of face-to-face tuition and additional optional one day seminars. Your submission fees to the NCFE who conduct your external assessment. We are now taking applications for the next Hypnotherapy Diploma Courses being run in Bournemouth, on the south coast of England. Full details of dates and fees are outlined in the college prospectus. Mid morning and mid afternoon refreshments are provided and the learning environments are very conducive to the study at hand. Hypnotherapy Is Powerful, Amazing – And Diverse. If you are considering studying hypnosis, and in particular if you wish to have a healthy career as a hypnotherapist, it is important to find a course that suits you, matches your requirements and is of a high professional standard. We have worked very hard through the years and continue to work hard to ensure that our own hypnotherapy training programme is the very best available anywhere in the UK, Europe and the world. Each year we update our diploma course according to the latest research, shifts in expectations and in line with developments in the general mental health field. When deciding upon a Hypnotherapy Diploma training course, therefore, there are a number of key points that you are recommended to consider: There are not currently any plans for the hypnotherapy profession to be regulated by law. However, in a press release published by the National Council for Hypnotherapy(NCH) about the state of current hypnotherapy regulation, they stated “All training schools that are accredited by the NCH are in a good position to be able to adhere to any structures and requirements when and if these are created.” Currently, the best guide to obtaining an authoritative qualification in hypnotherapy, are the National Occupational Standards for hypnotherapy. The Anglo European College of Therapeutic Hypnosis training programme adheres to and is based upon the new National Occupational Standards (NOS) for Hypnotherapy published in 2002 by Skills for Health, the Government’s Sector Skills Council for the UK health industry. Again, we are also a registered UK Learning Provider and are listed in the Department for Education & Skills’ UK Register of Learning Providers our UK Provider Reference Number (UKPRN) is 10047656. With any hypnotherapy diploma course or training provider, you are advised to consider and check that these industry standards are being met. By ensuring that our course meets these criteria, the Anglo European College offers students the externally-awarded Hypnotherapy Practitioner Diploma issued by the NCFE. The NCFE, formerly the Northern Council for Further Education, is a registered educational charity and officially recognised as a National Awarding Body by the Government’s Qualifications and Curriculum Authority (QCA). Our Diploma is classed as a “Level 4″ vocational qualification on the National Qualifications Framework which is the same level as a Level 4 NVQ, BTEC Professional Diploma, or a university Certificate of Higher Education (CertHE). The National Occupational Standard units have been correlated against the NHS Knowledge and Skills Framework (KSF) by Skills for Health. Confused? We understand that when you go and begin to research hypnotherapy training courses and courses in related fields, it can be quite bewildering or even utterly confusing. You can be offered a ‘Master Hypnotist’ programme that runs for only a long weekend, a ‘Master NLP Practitioner’ which incorporates a small amount of Ericksonian Hypnosis which runs for just a week, and other courses which are titled ‘advanced’ when these course titles do not actually mean anything in a standardised fashion despite sounding grand. Due to this, the UK Government have introduced the National Qualification Framework (NQF) which consists of numbered levels against which the standard of a course can be measured and seeks to standardise qualification descriptions. We strongly advise that you examine what level any prospective hypnotherapy training is classified as being on this national framework. 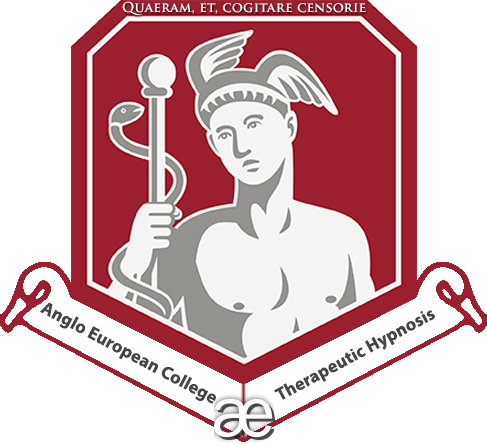 The Anglo European College diploma is classed as a level 4 qualification, making it one of the highest standard hypnotherapy training courses available in the UK. Some independent national bodies also provide a system of voluntary regulation for the hypnotherapy field. Our diploma training has additional accreditation from the Professional Hypnotherapy Network, General Hypnotherapy Standards Council (GHSC) and the National Council for Hypnotherapy (NCH). The Anglo European College of Therapeutic Hypnosis was the first ever training provider to be approved and accredited with the Professional Hypnotherapy Network, one of the UK’s leading organisations and this diploma will permit you membership of the PHN. We recommend that you be vigilant of courses whose accreditation comes from a sister organisation; some training schools have created their own accrediting organisations and so do not offer external accreditation. Also beware of courses which are only accredited by overseas organisations, such as American registers. Hypnotherapy courses should be accredited by professional bodies in their own country. Foreign organisations are not designed to serve the needs of UK residents or to handle the legal or professional issues relating to practice in this country and neither do they necessarily meet required UK standards. We welcome numerous overseas students here and so the diploma course is also accredited with numerous overseas organisations in order that our students can have a valid, credible qualification in their home country. Please speak to us with regards to this if you are a potential overseas student and this applies to you. To receive an application form and further information on this Hypnotherapy Diploma course dates and fees, please just email us directly, phone our offices, or download the forms directly from this website. You will then receive an application form, fees information and a college prospectus by email. Upon your application being successfully made, you will be required to complete some simple initial preparatory reading prior to the commencement date of the course you are enrolled upon. In the first instance, get in touch with us. Phone our offices on 01202 526977 or email us from the contact pages here. In order to enrol for this classroom based course, you will need to fill in the booking form on this website and contact us to make your payment. Once your payment has been made, you’ll receive an acceptance form with preparatory information to get you ready for the commencement of your studies. You are then sent on access to all of the online video materials with specific directions and instructions of which videos to watch in which order. At the same time, you are also sent on the full electronic manuals to accompany each of the tuition modules, along with the slides used in class for each module and all of the handouts used in class. If due to unforeseen circumstances any delegate needs to cancel an enrolment, up to one month before the course / seminar / workshop commences a refund of 66% of the paid course fee will be made by Adam Eason College of Clinical and Experimental Hypnosis (T/as Anglo European College of Therapeutic Hypnosis). Unfortunately, for any reduced initial fees paid (i.e. You took us up on an offer of a reduced course fee) and for any cancellations made within a month of the start date or after the start date of the course, no refunds are available. Please note: If you wish to move on to a different course at a later date and you give us less than a month’s notice, there are additional fees incurred due to hotel booking costs etc. If for any reason or due to unforeseen circumstances the programme you enrol upon has to be cancelled, Adam Eason College of Clinical and Experimental Hypnosis (T/as Anglo European College of Therapeutic Hypnosis) will refund your payment in full.Adam Eason College of Clinical and Experimental Hypnosis (T/as Anglo European College of Therapeutic Hypnosis) and/or its directors will not be liable for any other expenses. There are 20 Days in Class Plus Course Work It is adult education and some people will take longer than others. You can be a fully qualified practitioner by the end of the course though you get plenty of time thereafter to complete your studies should you require it. You are then in a position to set up a Part-Time or a Full-Time Practice. Many choose to work from home. You get advice about this during your course. Many of the lectures are recorded and the videos will all be available in a Membership website that you will have access to while you train. You will discover so much about your own mind and the whole course is very therapeutic. You will learn so much about yourself and how to move forward successfully with confidence. You will get a huge amount of time developing different hypnosis skills and see how they work. You will get support and experience on real clients. There will never be a shortage of people needing help. Just think about the people you already know who have issues, anxieties, sleep problems, weight, stress, smoking, phobias, pain, confidence, self-esteem and on and on. Go and check out some hypnotherapists websites to find out their hourly session rates – I won’t even begin to tell you about the experienced therapists. It is down to you but this can be a really lucrative career. Do check out the hypnotherapy diploma qualification you will be working towards in the prospectus – you will have several letters after your name. Adam will be happy to answer any questions about this.